Soul Asylum first hit the Minneapolis music scene in late 1981. Core members Dave Pirner, Dan Murphy and Karl Mueller met at local punk rock shows. With all the incredible bands they saw in those days, like Hüsker Dü and The Replacements, it was daunting for them to share the same stages but, ultimately, it inspired them to work all that much harder. Soul Asylum stood out immediately because of that work ethic and their smart, punky hard rock sound.They made four records for hometown label Twin/Tone Records before moving on to the majors; first A&M, then Columbia, where they scored two platinum albums and won a Best Rock Song Grammy® for “Runaway Train.” They even played Bill Clinton’s 1993 inauguration gala. The first two Twin/Tone releases, 1984’s Say What You Will . . . Everything Can Happen and 1986’s Made To Be Broken, both originally produced by Bob Mould of Hüsker Dü, have been remastered and thoughtfully expanded by Omnivore Recordings and are due out July 20, 2018. 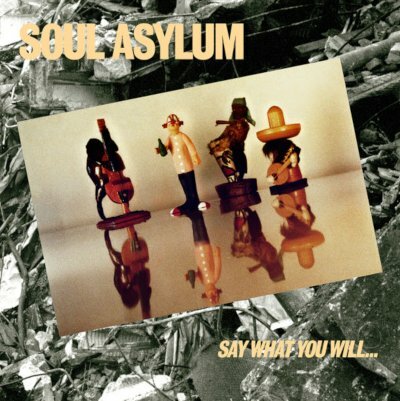 This reissue of Soul Asylum’s debut, Say What You Will . . . Everything Can Happen,collects the original album, plus rare outtakes and demos from the band’s early years, including an unreleased song and many long-out-of-print tracks. The packaging provides an array of never-before-seen photos, artwork, and hand-written lyrics from Pirner’s collection. It also includes a brilliant historical essay, written by academic Robert Vodicka, that illuminates Soul Asylum’s lasting importance. The Made To Be Broken set contains 15 bonus tracks, nine of which are previously unreleased. It includes an impassioned, thought-provoking, frequently hilarious essay— written by legendary Bay Area music journalist Gina Arnold — that puts Soul Asylum’s influence in perspective and tells the story of how the band’s live show knocked the writer flat. 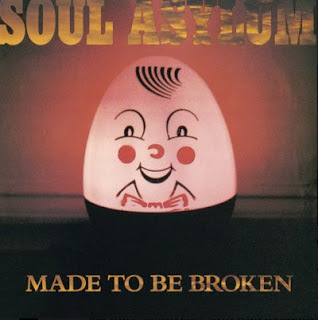 Both reissues were co-produced by Twin/Tone Records co-founder and Replacements manager Peter Jesperson, who first signed Soul Asylum, and Grammy® winner Cheryl Pawelski, with remastering by Grammy® winner Michael Graves.